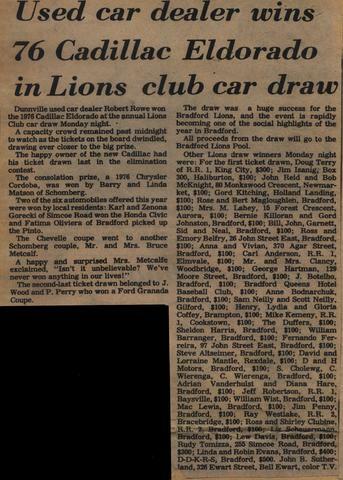 "Dunnville used car dealer Robert Rowe won the 1976 Cadillac Eldorado at the annual Lions Club car draw Monday night. A capacity crowd remained past midnight to watch as the tickets on the board dwindled, drawing ever closer to the big prize. The happy owner of the new Cadillac had his ticket drawn last in the elimination contest. The draw was a huge success for the Bradford Lions, and the event is rapidly becoming one of the social highlights of the year. 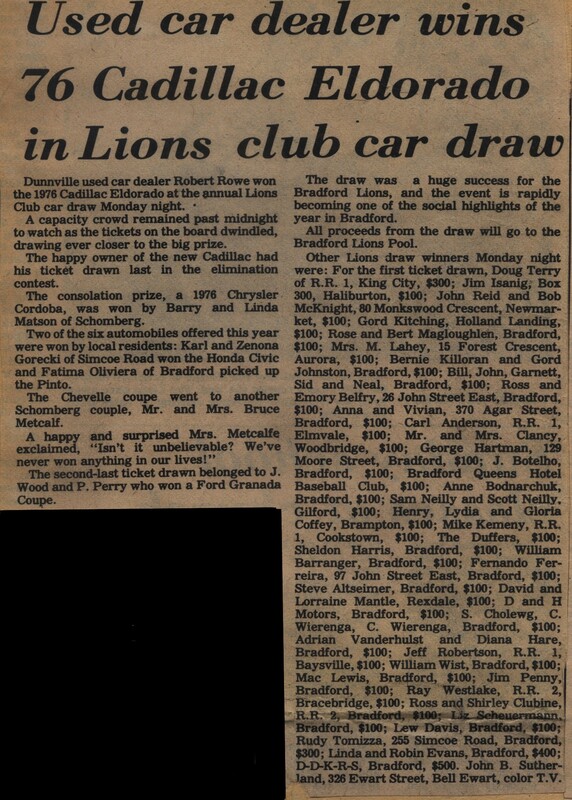 All proceeds from the draw will go to the Bradford Lions Pool."